Jeep YJ Tire Carrier Rear 87-95 Wrangler YJ TNT Customs. TNT's swing-out tire carrier is the perfect accessory for the back of your Jeep YJ. 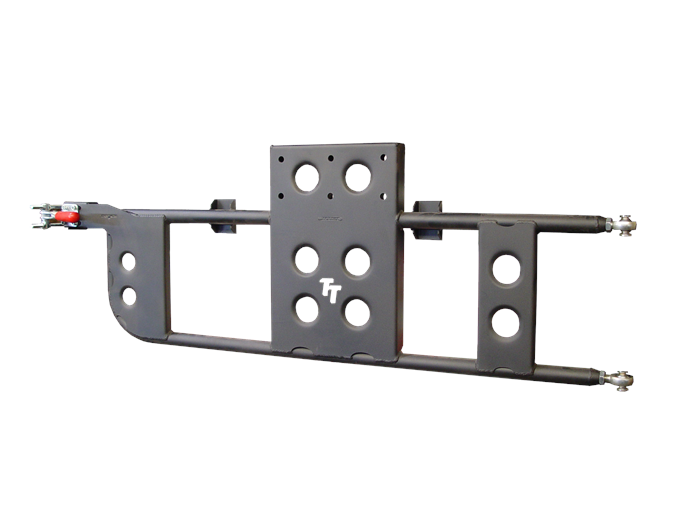 Constructed of .120 inch wall tubing, it offers twelve different mounting positions. Tire mount can be raised to increase clearance under larger tires. For our hinges, we use heim joints for strength and adjustability which allows you to compensate for heavier tires. No more lifting to get the latch to line up correctly. The cam latch features a locking lever so that you can wheel knowing that your carrier isn't going to swing out unexpectantly.